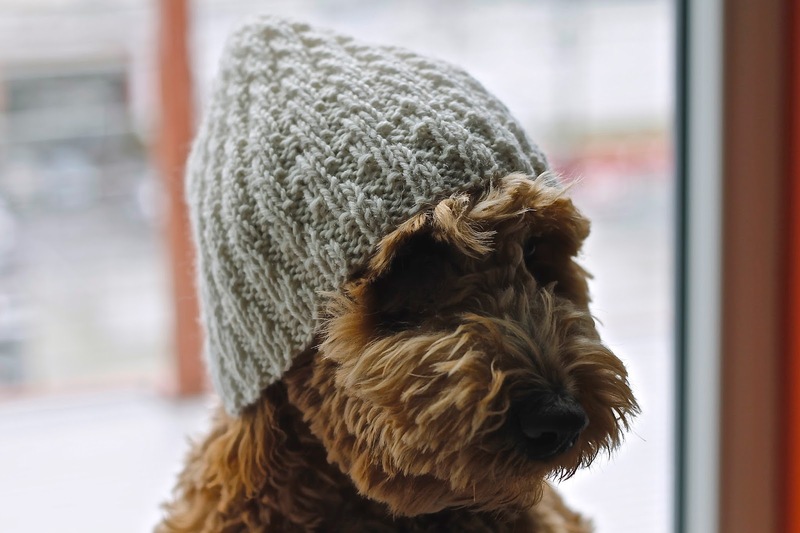 For my first knitting project, I chose to make a hat. Noodle graciously agreed to model it for 1.5 seconds, and I was ready with my camera. You are welcome. My husband thinks that he looks like an old sailor in this picture. The beginner knitting class I signed up for started off by teaching us the basics: cast on, knit, purl, stockinette and some increasing and decreasing methods. Then we got to pick a project of our own: scarf, baby blanket, hat, etc. A hat seemed like a good way to learn a variety of techniques, and keep me warm. Win win. I choose Ann Norling's pattern #54 Spiral Rib Hat and used Cascade 220 yarn with size 8 16" circular needles. It went great until I realized that to shape the top of the hat, I had to switch over to 4 double pointed needles. It was quite awful. I quietly cursed in French, because there is just something about cursing in French that really lets out all the frustration for me. I may have also sworn to never use double pointed needles again. But then I finished the hat and was excited to have completed my first project. And decided to make another hat. I also realized that adding a little extra tension for the first stitch on the next double pointed needle helped. And I kind of got used to it. I wouldn't use them for fun, but they serve a purpose and I'll live with them when I have to. The recommended gauge didn't quite work for my little spiral off-white hat, it is a bit too short for me. So I made another one in grey with the same kind of yarn, and omitted the spiral, just keeping the rib. Skipping the spiral made it a bit easier, since I didn't have to keep track of every row but instead could knit in the established pattern until the desired length before decreasing. I wasn't quite ready to watch TV and drink wine while knitting, but it was a lot faster. I added an extra 1/2" before decreasing and the size was perfect. 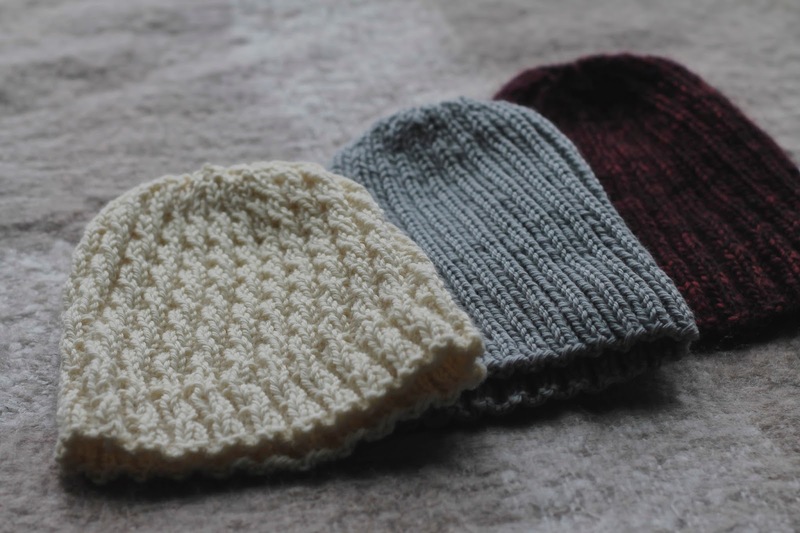 I made one more hat that is actually my current favourite, using the lovely soft Autunno Italian Merino wool and again, the rib pattern without the spiral. Noodle refused to model that one and went hiding in his bed. I really mean in and not on his bed. Just to be clear. No good picture came of that, sorry.